View Entry Info: Ban the toxic immature guy called Orson please. 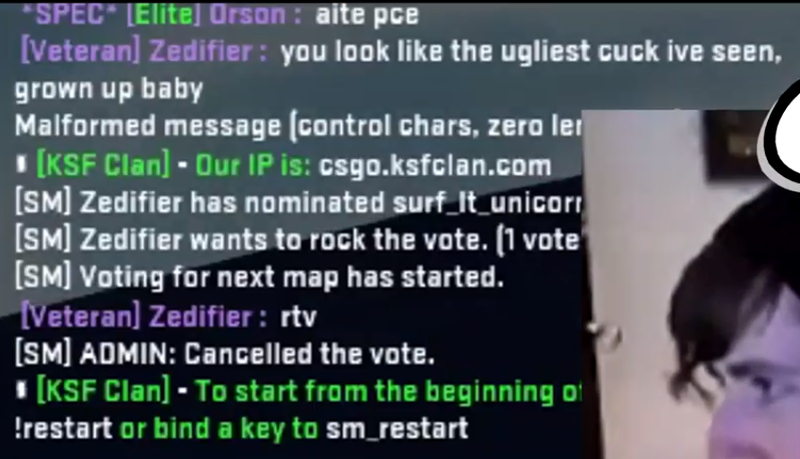 Cancels rtv's and changes to his maps when Im surfing the map I wanted, and I was on the server first btw.. just wanted to finish up and then leave. I would never join a server that's busy and trying to change before the person is done, thats just disrespectful. Thread: Ban the toxic immature guy called Orson please. Last edited by MaKo; 01-12-2018 at 02:47 PM. LMAO WHAT A VIDEO. That's the greatest, +1 for ban Orson. +1 just for the video and effort. I can tell you that he said way worse stuff to me that triggered me, if someones a c*nt to me then im gonna treat them the same way back, end of story, thanks though!